The three product lines for enterprise resource planning EULANDA® enable us to offer a good price-performance ratio for the most diverse tasks. The basic version consists of the basic program and allows all essential tasks in the office, such as customer, article and warehouse management, the creation of quotations, orders and invoices up to the dunning process, to be carried out already in the basic configuration. 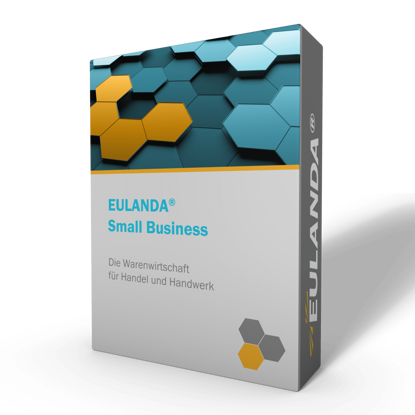 EULANDA® Enterprise basic version includes: Management of all master and movement data, scale prices, client specific pricelists, Backlog management, Information system, Dunning management, word processor, report generator and several default interfaces. The basic system includes a one User/Client license for the program, database and standard user and correspondence language (English). EULANDA® supports the SQL Index Server to further enhance full text searches. EULANDA® Professional contains the following modules: Administration of all Master- and movement data, Scale prices, client specific pricelists, Back Order Management, Information system, Accounts due, Word processor and various default interfaces. Basic system comes with one (1) user license as well as one (1) client license for the database. Base language is English (User interface and printing).